People should have fun with hair. It grows and changes all the time. And it’s only hair, really. - Eugene Souleiman, Global Creative Director Care & Styling, Wella Professionals. For fine, limp and lifeless hair, try our VOLUME collection today to bring your hair to life. Use the TEXTURE collection to straighten, curl, make waves & increase volume. Your choice of product will have the greatest effect on the type of texture you create. For coarse, frizzy hair, the SMOOTH collection will help you achieve a smooth and glossy look. Everyone needs some shimmer and sparkle in their life. Create your look with the right products, and then finish with one of the SHINE products. 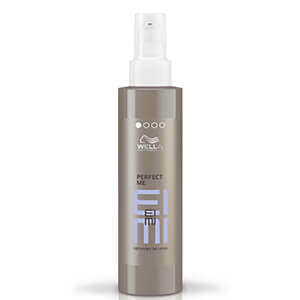 Fix, craft and finish your looks with EIMI hairsprays, featuring a fresh fragrance that will delight you! Say Style Speak EIMI. EIMI moulds and empowers, shapes and inspires, allowing you to celebrate who you are and everything you want to be. EIMI is the voice with which you can express your styling skills and individuality. 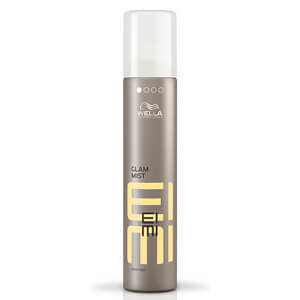 With EIMI you can truly be yourself, say what you say and shout it out. Interpreting the latest global trends, setting new accents of style and originality. EIMI moulds and empowers, shapes and inspires, allowing you to celebrate who you really are and everything you want to be: in a word, individuality.